When you are working on the construction industry site, it is really essential to protect yourself and other people that you have basic construction knowledge. Consequently, in order to apply for a construction work that employers always require that their employees who need to pass the health, safety and environment test to prove their competence and your qualification to work well in their trade. After pass the Cscs test, they will get their own Cscs card. For the Safety test, the ” Fire prevention and control” section that is important one of the Cscs card test. In order to pass this test you should know about fire extinguishers, procedures to to follow in case happening a fire at work, and controlling fire risks while working. With lots questions focusing on the fire prevention and control that you will face in your test. We offer 20 Short CSCS Test Revision On Fire Prevention and Control To Pass Successfully. Hopefully, after these revision below, you have yourself useful information. In addition, let’s practice our free online CSCS mock test questions to keep easily understanding for your test. If you are working on the construction site that this is a important point that you should remember the term assembly point. Actually, just firstly arrive on this site but you hear the fire alarm that the term fire assembly point in which you must go quickly. You should know about a water fire extinguisher when you are working on the construction site, because there are a lot of risks from fire to prevent and control that you can use a water fire extinguisher, which is one of the most widely used fire extinguisher, additionally, these are used to tackle fires that involve solid combustibles namely wood, plastics and paper. There are lots hazards and risks under construction site, if workers do not have basic knowledge that they will be easily make mistake in their work. For the safety of fire, you should note that not use foam or water fire extinguishers on electrical fires because these are conductors of electricity effectively. As you know, CO2 can prevent a fire in emergency. However, you have to note that after using a CO2 fire extinguisher you should not touch the nozzle because it will be very cold and it is useless for the next time. While working on the construction site, you should know a fire needs three basic elements such as oxygen, heat and fuel in case happening a fire, you can be calm to solve it. If you are construction worker, and according to a hot permit for making sure that your work be always safe that you will be required a fire extinguisher close to where you are working and you must check carefully there’s no signs of fire before you leave your work. To ensure that you can work safely that you know that a hot work permit tells you a lot about controlling and minimizing the risk of a fire without telling you where your local fire station is located. In case, you should have finding out before. Providing basic knowledge of construction industry about safety that is always necessary to carry out for all construction workers. Therefore, you should get understanding the term “hot work permit” in case you are required the related job. It means that you could start a fire in your work. We never want to happen anything in our work but this is risks without knowing before. Thus, to ensure your safety that you must stop immediately your working when the fire alarm rings, and make certain you are at the fire assembly point safely. For construction industry site, there are lots risks from fire to all workers. While working on site you should note that the first thing you must do upon discovering a fire is raise the fire alarm to inform everyone. To help you identify a dry powder fire extinguishers among other CO2 fire extinguishers, water fire extinguishers, so on by its blue colour band. Each fire extinguisher will be have the different features to solve a fire. The final Cscs test revision, you should note when you are working on the construction site that if there is a large fire in your work area and you are not trained to use a fire extinguisher you should not attempt to tackle the fire, you must go to your fire assembly point immediately to avoid accidents. Both poor housekeeping and uncontrolled hot works that is two of the most common fire risks in a lot of risks on the construction site, thus, you should note these. Safety is the main purpose to ensure reducing the number of accidents on the construction site, moreover, you should improve your basic construction to prevent those hazards and risks. Actually, if you are required to work in an area but it is only a fire escape route that you must ensure your equipment and tools don’t clog up the route when there is a fire. Keeping clean around your area by using correct bins to store waste that is the best way to prevent and control fire risks. Thus, to protect yourself and other person, you should note this to carry out effectively. In order to sure your safety while you are working that you will be usually trained and explained about the location of the fire assembly point and other safety procedures. While working that you discover there’s frost present on the valve of a LPG cylinder, it means you should check the vallvue of a LPG cylinder because there’s a leak in the valve. Yellow colour band that wet chemical fire extinguishers for identifying on the construction site. 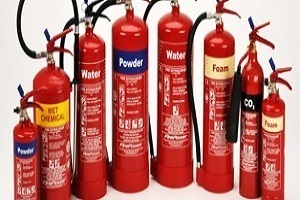 when you are working on the construction industry site, you should discern the different fire extinguishers by colour, and cream colour band that is colour to identify foam fire extinguishers. Just like dry powder fire extinguishers mentioned above, you can easily identify CO2 (carbon dioxide) fire extinguishers by its black colour band. The “fire prevention and control” section is always important section that you have to face in your Cscs test. In order to ensure that you understand comprehensively these concepts from 20 Short CSCS Test Revision On Fire Prevention and Control To Pass Successfully that let’s move on our free online Cscs mock test quiz questions and full answers. For sure that most quiz questions covers all information included in the “fire prevention and control” section so that you can practice easily. Enjoy us now! Please click here to get further information of Cscs.